Jacob and Molly Curtiss laugh as they chat in the kitchen of their home in Akron March 28 that they purchased from the Well Community Development Corp. It's been challenging to stabilize neighborhoods and boost home ownership rates in areas just outside downtown and the University of Akron. It’s a common concern in most shrinking American cities. City planners consider a quarter of Akron homes to be "extremely distressed," which includes thousands of units that would cost more to fix up than they're worth. For a short-term investment, they’re a sure way to lose money. But Molly and Jacob Curtiss take the long view and they're not worried. They bought their first home from the Well Community Development Corp., a nonprofit organization that's investing in the community until the local housing market can stand on its own. Jacob, 21, and Molly, 24, were married two years ago at Citizens Akron, the church at the end of their street where the Well keeps its headquarters. They volunteer in the new community that they and friends are rebuilding. 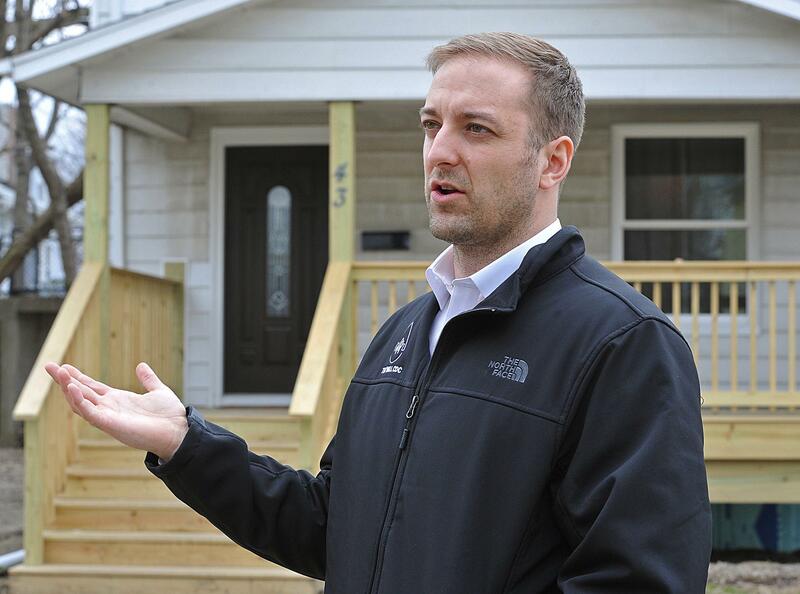 Founder and executive director of the Well Community Development Corp., Zac Kohl, talks about putting a young family in a remodeled home on Agate Place in Akron March 21. 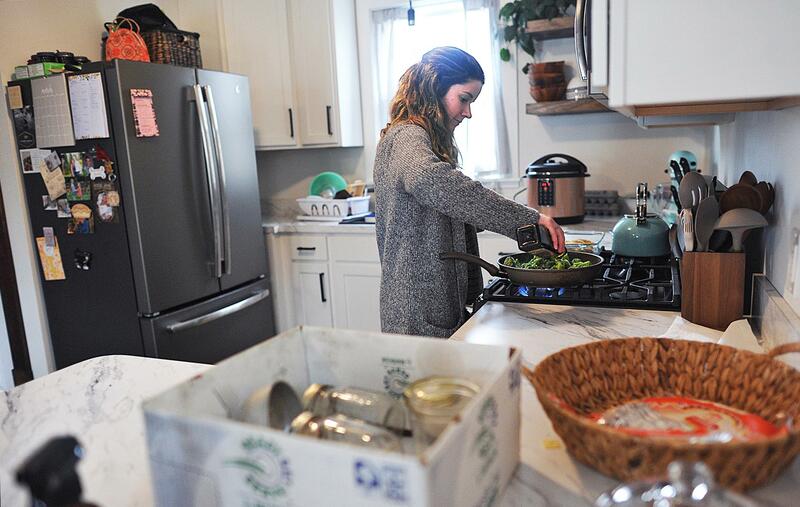 Molly Curtiss prepares dinner for herself and her husband, Jacob, at their home purchased from the Well Community Development Corporation on Thursday, March 28, 2019 in Akron, Ohio. The Well's plan requires incremental success so home values don't skyrocket, which could be exacerbated if private builders see what they're doing and start building new homes before the market is healthy enough to support them. Kohl's favorite phrases are "stabilize the good" and "investment begets investment." He's seen both in Middlebury. Kohl spent many times more on interior and exterior repairs than his own home is worth two blocks over on Jewett Street. A Jordanian family across the street saw the improvements, fixed up their home then bought and updated two more houses beside Kohl's. “They’re not trying to jack up housing in the neighborhood," Jacob Curtiss said. "They’re trying to make it better without gentrifying and kicking people out."